In a 17 year career which saw him make over 500 professional appearances, Ray Parlour is one of Arsenal’s greatest ever players. Spending 14 years with the Gunners, during that time he made 466 appearances and won three Premier League titles, four FA Cups , one League Cup and one UEFA Cup Winners’ Cup . Coming through the Arsenal academy, he made his debut for the club in 1992 and quickly became a fan favourite due to his ncredible work ethic in the midfield. In 1998, Arsenal won the double and Ray put in a man of the match performance in the FA Cup final against Newcastle, getting an assist for the team’s second goal. His most memorable moment in an Arsenal shirt was in the 2002 FA Cup Final when he scored a stunning goal from 30 yards against Chelsea which helped the team on their way to victory. In 2004, after playing over 400 times for Arsenal, Ray signed for Middlesbrough He also made 10 appearances for England during his career. Ray retired from football in 2007, briefly coming out of retirement in 2012 to play for Wembley FC in a one-off game. Since retirement ‘The Romford Pele’ as he has become nicknamed, has gone on to become one of the UK's most popular football pundits. Working on television and radio for the BBC and Talksport , Ray always proves popular amongst audiences. 1992 – Makes Arsenal debut. 1993 – Wins his first FA Cup . 1998 – Helps Arsenal win the double. 1999 – Makes his debut for England. 2002 – Scores as Arsenal win the FA Cup again. 2004 – Leaves Arsenal for Middlesbrough. Arsenal go unbeaten in his final season at the club. 2007 – Retires from football with Hull City . 2010 – Becomes a commentator on TalkSport at the 2010 World Cup . 2012 – Comes out of retirement for one game only for Wembley FC . 2016 – Releases autobiography – The Romford Pele. 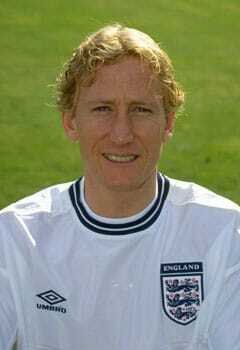 Often regarded as the unsung hero of Arsenal’s midfield, Ray Parlour spent 17 years at the top of English football winning a whole host of trophies along the way. After making his way through Arsenal’s academy, his debut came against Liverpool in 1992. Competition for places at Arsenal was tough, and it took Ray until 1996 to really establish himself as a regular in the Gunners starting 11. Upon the arrival of Arsene Wenger as the club’s new manager, Ray was given the chance to impress on a more regular basis, and he didn’t disappoint. Ray was instrumental in the club’s 1998 double winning season, providing the assist for Nicolas Anelka as Arsenal defeated Newcastle in the FA Cup final . The FA Cup proved a popular competition for Ray and in 2002 he scored one of the tournament’s most iconic goals. Putting the ball in the top corner against Chelsea many people felt like this goal gave Ray the limelight he truly deserved with the media often favouring more fashionable players. During his time at Arsenal , Ray won three Premier League titles, four FA Cups , one League Cup and one UEFA Cup Winners’ Cup . In his final season the club won the league going unbeaten. The first time a team had achieved this feat in the Premier League. Ray also made 10 appearances for England during his career. In 2004 he signed for Middlesbrough where he spent two seasons before joining Championship side Hull City . Helping the Yorkshire team avoid relegation, he made the decision to hang up his boots in 2007. In 2012 he made a brief return to the game, turning out for amateur team Wembley FC alongside a whole host of footballing legends. Since retiring, Ray has enjoyed a highly successful career as a pundit. Regularly providing his expert insight on the games latest issues he often appears on the likes of BBC Sport and Talksport . He has also released his own autobiography titled The Romford Pele inspired by the nickname Arsenal fans christened him with. The book charts his rise to the top of the English game and sees him recall many fascinating anecdotes, in Ray’s trademark humorous style. 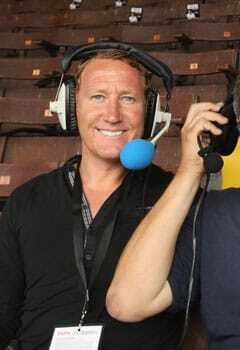 With many fantastic and fascinating stories to share from a lifetime in football, Ray Parlour makes for the perfect person when it comes to brand endorsements, after dinner speaking and media responsibilities. Ray’s fantastic charm and sense of humour leaves people thoroughly entertained and is well versed at overseeing product launches and brand events. In the past Ray has worked with many brands including 888casino .